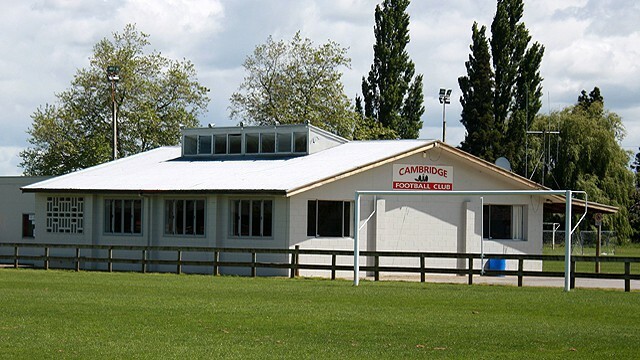 Cambridge players and their visitors can look forward to using new changing rooms after a successful fundraising campaign by the club.The club will start work in early 2014 on building an extension to their clubrooms, after the Lotteries Commission Facilities Fund approved a $54,000 grant.The grant, which is subject to the club getting building consents, will be supplemented by $25,000 already raised by the club, and materials and labour which the club will source through its members.The project is expected to be completed during the next winter season, meaning the club will have the use of nine dressing rooms. The club also hopes to continue its ground share arrangement with the Cambridge Athletics and Harriers Club, which last season included the use of another set of changing rooms.“The rapid growth of our club has put pressure on its facilities and we’ve had to work hard to raise the money needed for the upgrade,” the club’s fundraiser, Josh Easby, said.“In 2014, we expect to have 15 or more senior and youth teams playing at the club. This is five more teams than we had three years ago.”The design of the new building will enable teams to access the changing rooms through external doors, meaning teams of different genders can use them at the same time.Folding doors will also enable the club to choose to convert the six rooms into larger dressing rooms for big games.To convince the Lotteries Commission the grant was deserved, the Cambridge club provided evidence of its increased activities as a host for staging regional events such as its annual Cambridge Sevens tournaments, Waikato and Bay of Plenty All Stars games and this year’s Soccer Shop Waikato Cup and Plate finals.The club has also been chosen as the home base for ASB Premiership side WaiBOP United this summer.“We’ve no doubt that a big part of getting support for our fundraising and lottery grant was down to the fact that our club has made a huge effort to become a host ground for regional football,” explains Easby.“A year ago, the club decided that it had to look beyond the boundaries of our own town, and try to make its facilities more accessible for the region. While that’s meant a lot of hard work in hosting cup games, All Star games and now ASB Premiership fixtures, we’re sure our decision has helped to convince funders to invest in improving our facilities.”By partnering with the neighbouring athletics club and the Cambridge Baseball Club, the club has also demonstrated its commitment to sharing its facilities with the wider community.The club is also installing a 25,000-litre irrigation system to help care for its newly-renovated feature pitch which is being upgraded to meet stringent standards set for the ASB Premiership and to benefit the club’s own top-performing sides.The water tank and irrigation system has been made possible through volunteer labour and sponsorship support from local businesses Bailey Tanks, RD1 and Marley. The irrigation project is also subject to getting consent from the Waipa District Council.